Normalize your music library so all songs play at the same volume. Settings screen for volume leveling / crossfading. To minimize loudness differences between all the songs in your music collection Windows Media Player 12 has a volume leveling option. This is another term for normalization and is very similar to the Sound Check feature in iTunes. Rather than directly (and permanently) changing the audio data in your song files, the volume leveling feature in WMP 12 measures the differences between each song and computes a volume level. This is a non-destructive process which ensures each song you play is normalized in relation to all the others. This information is stored in each song's metadata -- very much like how ReplayGain does. In order to use volume leveling in WMP 12, audio files have to be in the WMA or MP3 audio format. If you are experiencing volume differences between the songs in your Windows Media library and want a quick and simple way of eliminating this annoyance, launch the WMP 12 application now and follow the steps below. At the top of WMP's screen click the View menu tab and then choose the Now Playing option. If you don't see the main menu tab displayed at the top of WMP's screen, you can easily enable this feature by holding down the CTRL key and pressing M.
If you like using keyboard shortcuts then a quicker way to switch to this view mode is to hold down the CTRL key and press 3. Right-click anywhere on the Now Playing screen and choose Enhancements > Crossfading and Auto Volume Leveling. You should now see this advanced option menu pop up above the Now Playing screen. Click the Turn on Auto Volume Leveling link. Close the settings screen by clicking the X in the top right-hand corner of the window. For the songs in your library which don't already have a volume leveling value stored in their metadata, you will need to play them all the way through. WMP 12 will only add a normalization value when it has analyzed the file during a full playback. This is a slow process compared to the Sound Check feature in iTunes for example which automatically scans all files in one go. If you already had a large library before turning on volume leveling, then read the time-saving tip in the next section. Click Tools in the main menu tab at the top of the screen and choose Options... in the list. Click the Library tab and then turn on the Add Volume Leveling Information Values for New Files option by enabling it using the checkbox. Click Apply > OK to save. If you already had a large Windows Media library before turning on volume leveling, then instead of playing all songs from start to finish, you may want to consider deleting the contents of your WMP library and then rebuilding it to save a lot of time. Importing all your music files back into an empty WMP library (since turning on volume leveling for new files) will ensure normalization values are automatically applied. Why Does the Loudness Between Songs Vary so Much? By following the steps in this guide you may now have automatic volume leveling enabled, but why are some songs very loud while others can hardly be heard? Ripped songs from audio CDs. Downloaded from legal file sharing sites. Digitized from analog sources like vinyl and cassette tape. The problem with accumulating your music collection using various sources like the examples above is that the loudness of each file won't be exactly the same as all the others. In fact, the difference between one track and the next can be so great sometimes that it can cause you to have to keep tweaking the volume level -- either via Windows Media player or the volume controls on your MP3 player for example. This isn't an ideal way to enjoy your digital music and can spoil a good listening experience. 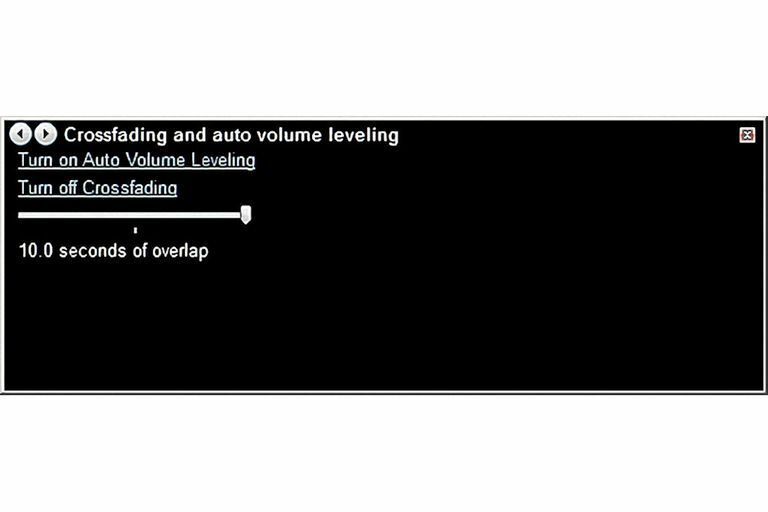 That's why enabling volume leveling is worth doing when you have big differences that can be eliminated automatically.